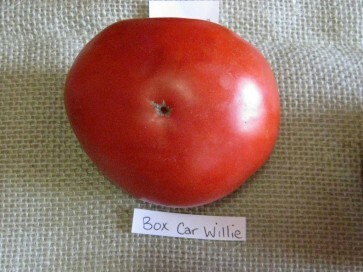 Named for the singer Boxcar Willie of the Grand Ole Opry. 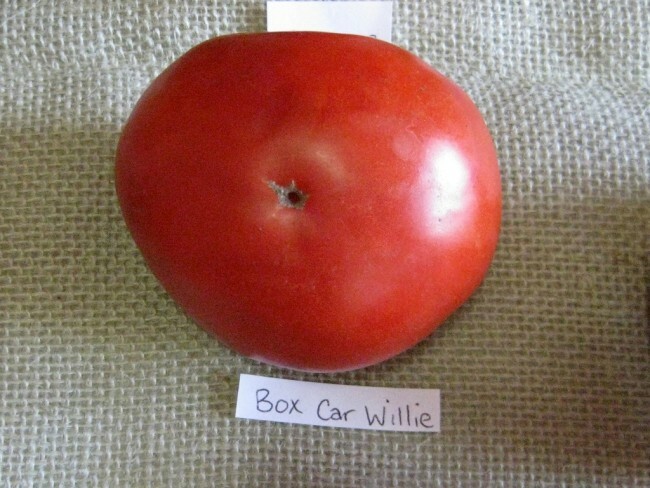 Named for the singer Boxcar Willie of the Grand Ole Opry, whose real name was Lecil Travis Martin. This New Jersey heirloom might become your main crop variety, due to its prolific yields of uniform, smooth, reddish-orange fruits averaging 5 to 16 oz.! With a rich, sweet, well-balanced, old-fashioned flavor, these multi-use tomatoes will last throughout the season and are ideal for canning, freezing, slicing, tomato juice, making sauce, adding to salads or for home-cooked meals.